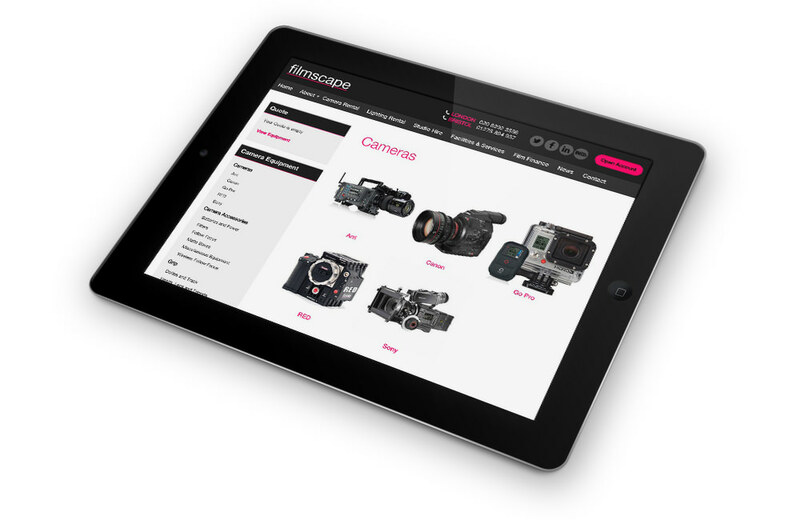 Responsive website design for camera & lighting equipment hire specialists Filmscape. 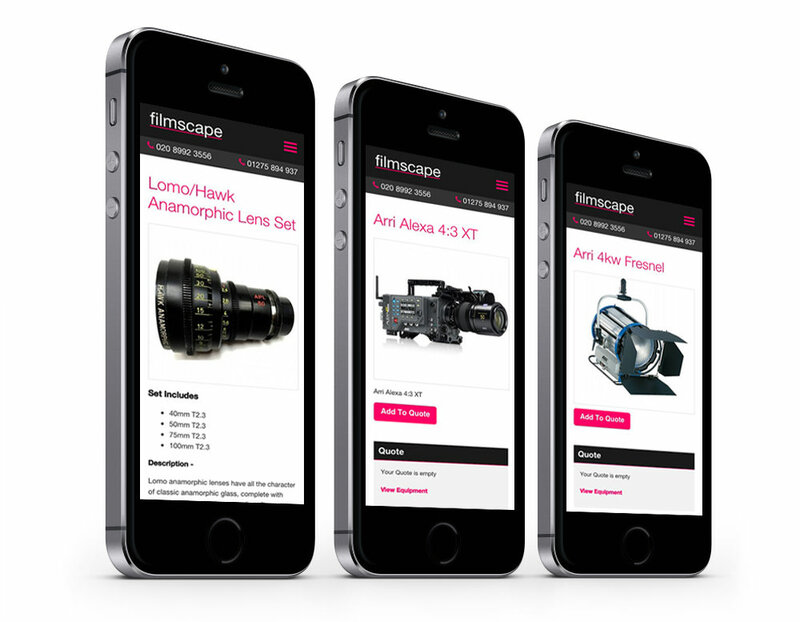 Filmscape have been a client of ours for a number of years. 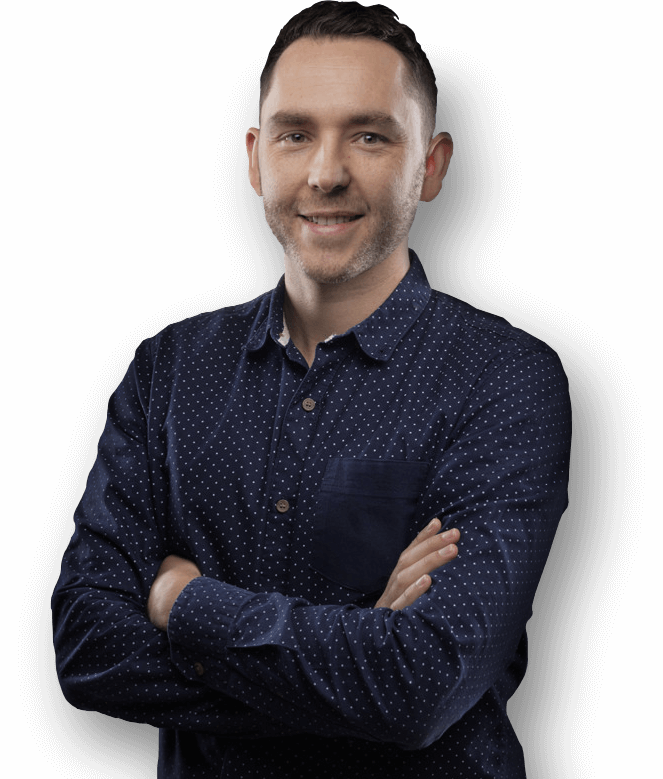 After designing their initial website 3 years ago, they approached us to discuss getting a new responsive site that is geared towards the mobile audience of today. The result is a wordpress-powered site with big and bold new visual style that adapts beautifully to any viewport size.